Sept. 7, 2015, © Leeham Co.: Airbus flew past Boeing in the annual orders race when the August numbers were reported last week by both companies. With the order for 250 A320s finally firmed up by India’s Indigo Airlines (it was announced last year), and an order for 45 A330ceos announced by China, the outcome was clear. But if you remove the FedEx orders and just look at passenger airplanes, Airbus edges out Boeing in the year-to-date wide-body market share. Aug. 17, 2015 (c) Leeham Co: Sometimes I never know what’s going to exercise readers. Sometimes it’s obvious. Last week it wasn’t. Our post last week about the formidable challenges still facing Bombardier for the CSeries brought some surprising reaction, particularly on Twitter. And I didn’t see it coming. The story was behind the paywall, but Canada’s National Post saw the public portion and called to get more information. The Post published some comments from an interview and with permission recreated a chart that was behind the paywall. We’ve been doing risk assessments of “skyline” quality for a couple of years now, including Bombardier, which is why the reaction to last week’s post came as a surprise. Our risk assessment has taken a couple of forms. For Bombardier, it’s a Green-Yellow-Red assessment, the meaning of which really doesn’t mean any explanation for anyone who drives a car or, in the aerospace industry, has ever seen Boeing’s Green-Yellow-Red assessment of access to aircraft financing it does every year. The other symbolic method we use is nautical: Storm Warning Flags, looking at the top 10 narrow- and wide-body customers of Airbus and Boeing and raising a Storm Warning Flag about how solid the order is. We do this annually and the most recent time for Airbus and Boeing customers is here, also behind our paywall. There are many topics on which to comment, n one of which requiring a full Pontification, so today’s column is going to be a bit of a free association. August 10, 2015, (c) Leeham Co. Government interference: While right wing Republicans and Tea Party members decry supposed ExIm Bank interference with private industry, there is now a bill in Congress to sell millions of barrels of oil from the USA’s Strategic Oil Reserve in order to raise $15bn. Unlike the ExIm Bank’s participation in the global capital markets, Congress’s action–if it passes–won’t create jobs. It will compete with jobs and companies trying to sell oil in the global market place. It will help drive prices down. Once more, the hypocrisy of Congress is glaringly evident. Bombardier: Pierre Beaudoin should have left Bombardier last February when he relinquished the title of president and CEO to Alain Bellemare instead of assuming the chairman’s title. This is the opinion of a few people with whom I’ve talked just in the last week. Furthermore, the Beaudoin family needs to step out of the company entirely and give up its voting control (it has 54% of the voting stock) if BBD wants to attract new investors, says one Canadian aerospace analyst who hasn’t written any of this publicly. “I can’t even see how they’re going to raise money for BT. I can’t imagine European investors would like subordinate shares either. Equity markets won’t be supportive unless the Family gives up control,” this analyst wrote me. Japan’s first commercial airliner after World War II was the YS-11 turbo-prop. Photo via Google images. 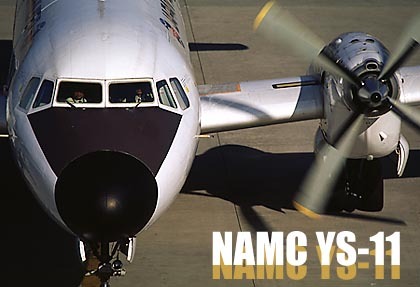 Japan since the NAMC YS-11 in the 1960s. The 60 passenger turbo prop had its first flight in 1962 and entered service three years later with ANA. Only 182 were built, and it had a surprisingly wide customer base in the primary and secondary markets. Google images has a nice montage of the operators, which spanned the globe. Japan’s first commercial airliner since the YS-11 is the MRJ-90 by Mitsubishi. Photo via Google images. The Mitsubishi MRJ 90 as yet doesn’t have wide acceptance. There are about 200 firm orders and about an equal number of options, but the customer base is thin: 100 of the orders and 100 of the options come from the USA’s SkyWest Airlines and 50+50 are from the USA’s Trans States Airlines. All Nippon Airlines orders 15 and Japan Air Lines ordered 32. Air Mandalay ordered six and the new Eastern Airlines, a start-up carrier, ordered 20. The MRJ is a 2×2 passenger cabin configuration with comfortable 18-inch wide seats. The passenger experience should be similar to the Embraer E-Jet that’s been in service since 2004 and better than the Bombardier CRJ Series, which is a cramped cabin. The MRJ is two years late. The first flight is now scheduled for October and entry-into-service in 2017. But with the vast majority of the orders coming from US regional airlines that contract for US majors, there’s just one problem: the MRJ-90 exceeds the allowable airplane weight in the pilot contracts permitting regional flying on behalf of the majors. This is under what’s called the Scope Clause. Pontifications: Boeing takes another charge on tanker program; What’s next? July 20, 2015, © Leeham Co.: Boeing on Friday took another charges against its USAF aerial refueling tanker program, the KC-46A, this time $536m after taxes ($855m before taxes). This brings the charges to date to more than $800m after taxes ($1.3bn before taxes). So much for my vacation and skipping Pontifications this week. Japan’s KC-767. What about “lessons learned?” Photo via Google Images. 200ERF and BCA is principally in charge of the development. Last week, the USAF–before the Boeing announcement–said it still expects the first production tankers to be delivered on time, in 2017, but Boeing Commercial’s recent track record of developing, producing and delivering airplanes on time and on budget leaves a lot to be desired. July 13, 2015: I’m traveling. Pontifications this week and next will be “grabs” from YouTube. The first is a short video of a young boy with a heart condition who wishes to be a pilot for American Airlines, which is part of the Make a Wish foundation. When AA was informed, see what happened next. Next, a short video about the Lockheed Constitution, a double-decker piston airplane designed during World War II. The military was the driver of the project but Pan American World Airways was also interested. Only two Constitutions were built. July 6, 2015, © Leeham Co. The US ExIm Bank authorization expired last week. As readers know, I’m a strong advocate of renewal of the authorization. Boeing, and other companies, hope reauthorization can be achieved this month. I won’t restate the reasons I think ExIm should be reauthorized, nor my utter disdain for the right-wing Republicans and Tea Party types who don’t get that the Bank helps Boeing sell airplanes and sustain or create jobs. I’ve written about this many times, and the competitive disadvantage Boeing will have vs Airbus, whose European Credit Agencies will take full advantage of this. But there are some points on the “other side” to revisit. June 29, 2015, © Leeham Co. Back on June 1, I wrote in this column I had yet to experience traveling on the Airbus A380, which entered service in 2007. The A380 doesn’t serve Seattle, where I live, and I really didn’t have a desire to add hours and a connection to my travels just to fly the A380 if I could go non-stop. Note that this is precisely the argument advanced by Boeing, but this is a coincidence. I have yet to fly on the Boeing 787, either, and it does fly into Seattle from Asia. 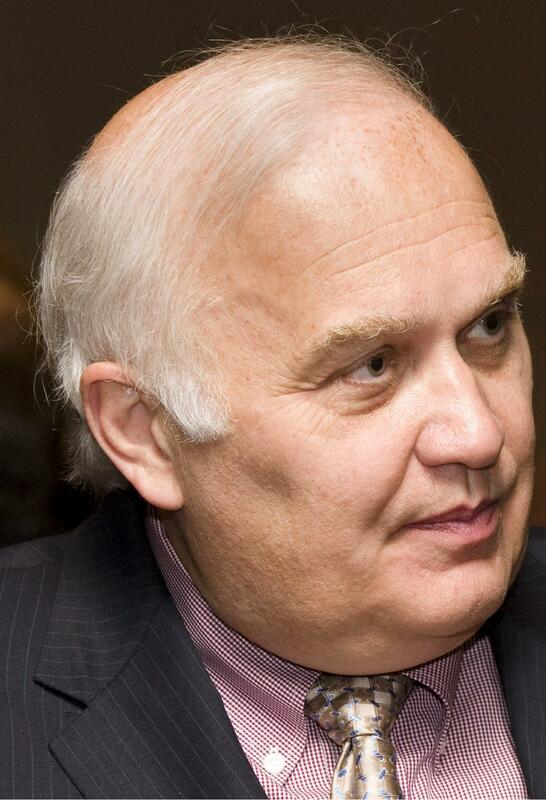 A reader Tweeted to me his incredulity that in all these years I hadn’t flown the A380. I replied, All in good time. I knew when I wrote that I would be returning from the Paris Air Show on an A380 via Los Angeles. The time had come for me to experience the airplane. (Interestingly, Dominic Gates of The Seattle Times, unbeknownst to either of us, wrote he’s doing the same thing via New York on Air France. I would be flying Air France. Friends warned me that the passenger experience on Air France, however, was hardly what the A380 is all about. I had been on the test A380 during static displays before, but never in a passenger-configured model. At the PAS, Qatar Airways had its own little air show, displaying more airliners than any OEM: the A319, A320, A350 and A380 plus the 787. The A350 and A380 were open to the press. As with anyone in the industry, I had long-heard of how the Middle Eastern airlines went over the top on outfitting their cabins, but I wasn’t remotely prepared for the Qatar A380. Walking on board, into the first class section, was a jaw-dropping “wow” moment. Our interview during the Paris Air Show with Tom Williams, president and COO of Airbus Commercial, is now open to all Readers. Williams discussions production, supply chain issues, launch aid for the potential A380neo and more. June 22, 2015, c. Leeham Co. The Paris Air Show was largely as expected, with a few small surprises. Boeing did better than expected via-a-vis Airbus, actually leading slightly in firm orders and tied in orders-and-options going into Thursday. This is virtually never the case, particularly at the Paris Air Show, Airbus’ “home” turf. At the same time, some Wall Street analysts noted the firm orders fell below expectations. I’m not especially concerned about whether an announcement was firm or a commitment, because the latter typically firm up, if not within the current calendar year then usually in the next. Note, for example, Boeing announced the launch of the 777X program at the 2013 Dubai Air Show was some 200 commitments, or thereabouts, but the orders didn’t firm until 2014. Airbus announced a commitment for 250 A320s from Indigo in 2014 and it will likely be firmed up this year.